This post is part of the Launch Your Biz Series. While I have been freelancing from home since 2008, it wasn’t until October 2017 when I started to run a full-fledged online business from home. The jump had been scary, much like when I left my corporate job in 2015, but it was one of the best decisions I ever made in my career. 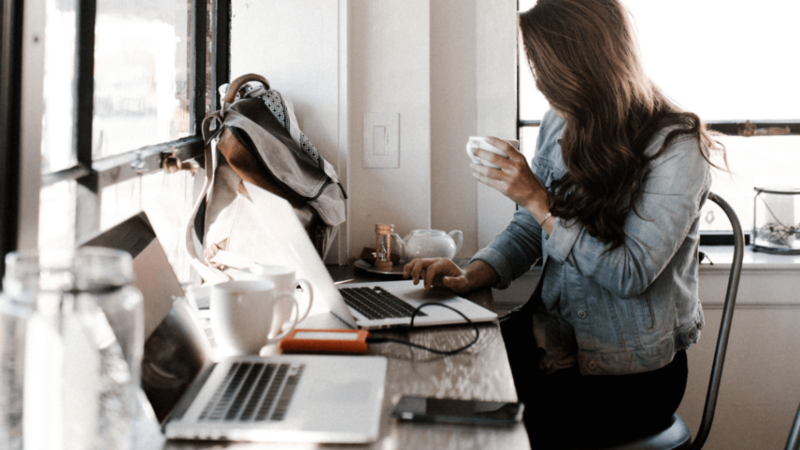 I have since shared a lot of my successes and failures publicly and among the most common questions I get is how to start a freelance business from scratch. We’ll particularly focus on how to become a virtual assistant, build your empire, and get clients scrambling for a slot in your schedule. First things first, let’s define what a virtual assistant is. Although the term has had some negative connotation over the years (they are sometimes considered glorified secretaries, but there’s really more to them than providing administrative services), the demand for these people and their services continue to grow—and very rapidly at that! What exactly are they? Virtual assistants are basically those who work at home or remotely, providing professional services to their clients. The services that they provide can be a range of skills: administrative, technical, clerical, creative and so on. Thus, you can actually still call web designers and developers, writers, executive assistants, SEO experts—as virtual assistants, as they technically provide assistance to business owners and entrepreneurs in a virtual/digital manner. As people grow in experience, they tend to stay away from the virtual assistant title because they are usually more known for their general set of skills. Later on, you’ll find out that when you specialize in a particular niche, skill or tool, you are able to demand higher rates from your clients. 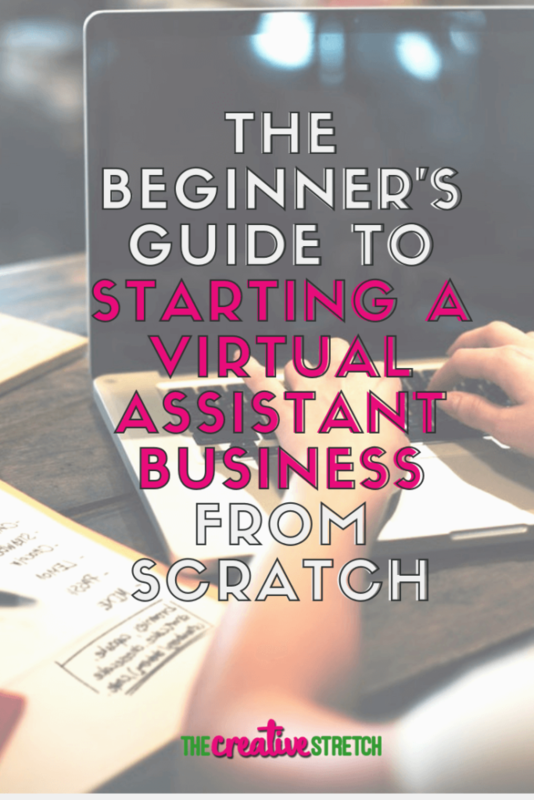 How to be a virtual assistant: Where do you begin? 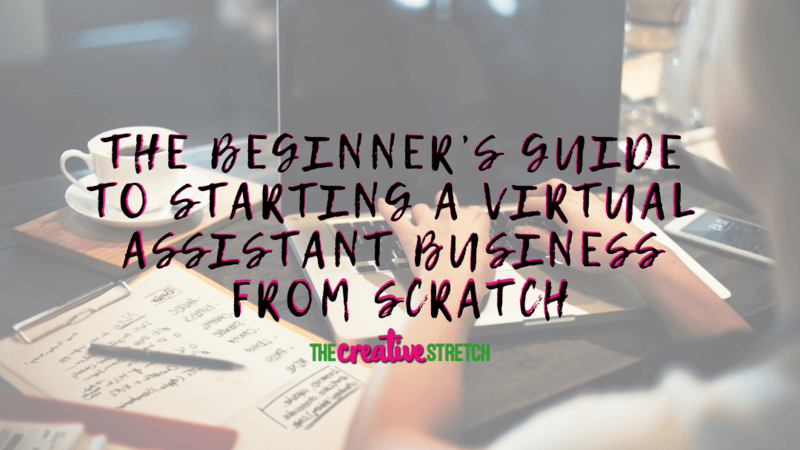 Now that we’ve defined what a virtual assistant is and decided that it is still something that is a business that you want to pursue, it’s time to get started on the dirty work! When people ask about my journey to becoming a full-fledged online entrepreneur, I always tell them to work on their mindset first. choose who you want to work with: perhaps you only want to work with female entrepreneurs in the yoga niche? There are also several other mindset shifts that I suggest you do. I’m not always the woo-woo type, but I truly believe that having the right money and success mindset is also crucial in building a business. You have to open yourself up to allowing more success and money into your life. I also personally believe that when you have the prosperity mindset in you, you attract the right kind of energy and money just starts naturally flowing in. It’s hard to explain but, in the words of the great Buddha: what you think, you become. Now, the next part of the process…how do you figure out your services? Is it even possible to pursue virtual assistant jobs from home with no experience and zero skills? Before we proceed, I want to let you know that no one truly has zero skills to begin with. Maybe you’ve been doing some admin work in your office, or have been blogging or even writing in your school paper. Perhaps you’ve been drawing and sketching since your elementary days, or have been coding in your spare time. Have you been doing a lot of travel arrangement or itinerary planning? Stop and think a moment. What are the things that you enjoy doing the most? Which areas do you feel you are really skilled at? Your answers can be a great starting point in figuring out what type of service you will soon be offering to your clients. If you still feel at a loss even with this simple exercise, you can always enroll in both free and paid courses in the fields that you want to focus in. There are many ways to determine how to price your services. If you’ve been working, you can use your salary as a starting point in determining your hourly rate. Full disclosure: mine sits at $3/hr. Another way to determine your new hourly rate is by figuring out how much you want to earn annually, then divide that by the number of hours you plan on working for the entire year. For example, if you want to earn $30k annually, divide that by (4 hours x 5 days x 4 weeks x 12 months) equals $31.25 an hour. That’s the beauty of entrepreneurship. You don’t get a cap on your income because you have full control of how much you charge and how much you work. Once you’ve found your base rate, stick to your guns and don’t go lower. Then, raise your rates—by about $2.5-$5/hr—with every client that you bring in to your business. This is actually a bit optional, especially when you are still starting out and figuring out your offers. However, creating a strong brand is essential if you want to be regarded as a professional and an authority in your niche, and if you want to stand out from the rest. Creating your own brand often means finding out your specialization, and there are often two ways to go about this. One would be to determine your strongest skill and specialize in that field. The other one would be to start as a generalist, and then niche down later on, depending on the demand or depending on which path you are compelled the most to follow. 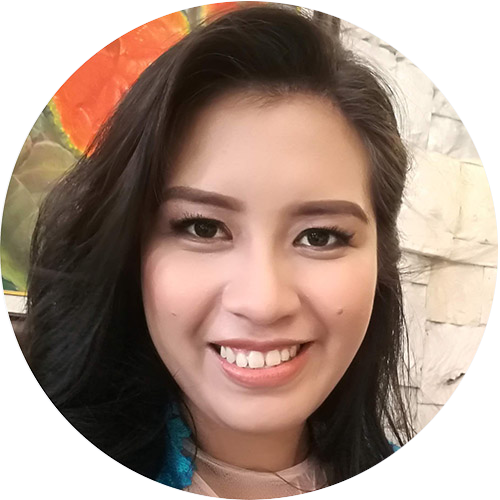 To share my own journey, I actually started out as a freelance writer when I was in my college days. 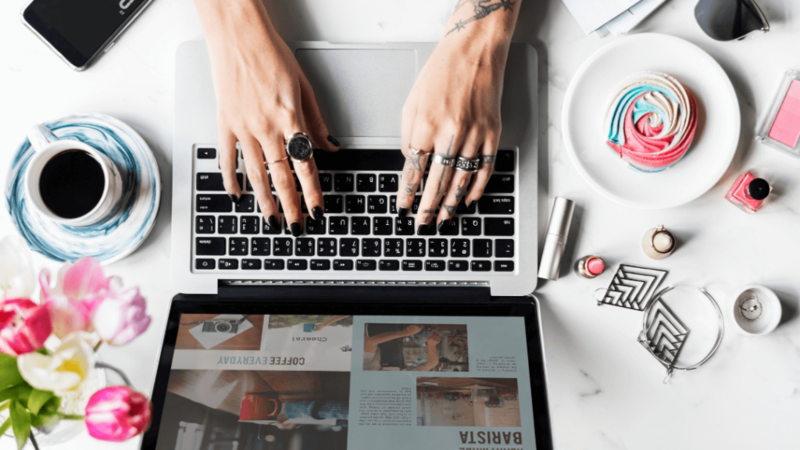 The next few years got me more involved in blogging, both personally and professionally, so I got exposed to both editorial and marketing aspects of it. I wasn’t sure when I truly realized I wanted to go the more technical route, but my background in programming (I have a degree in Computer Engineering) compelled me to learn the technical side of email marketing, sales funnels and doing integrations among different software platforms. The choice you make totally depends on you—there is no right or wrong path. Either way, remember that you can always make a detour and change directions. Feel free to stop or start offering certain services—that’s your privilege as an entrepreneur. When I started out as a freelance writer, I was able to use my blog as my live portfolio. It showcased my writing skills, and it was a big plus if the potential client I was pitching for was in the travel industry (mine was a family travel blog). Of course, creating your own blog and website is totally optional. You don’t have to get a domain and hosting right away, although having one certainly has plus points because you look legit that way. Sometimes, you can just send screenshots or short videos of your work just to prove that you have the skills and expertise. Feel free to show them a snippet of the process or the end result. Other times, a compelling pitch or a few sentences (if you are pitching as a writer or blogger), is enough to convince a potential client to hire your services. Join this FREE 5-day challenge—build your virtual assistant business from scratch and start getting clients! This challenge starts October 1st. You will also be signed up to receive weekly emails on digital marketing, entrepreneurship and productivity. As an online business owner, you have to be flexible enough to accept payments from clients all over the world. In my own experience, PayPal has been one of the easiest and most flexible to set up but there are also other emerging platforms such as Transferwise and Payoneer. Transferwise is still gaining traction but currently is the one that has the lowest fees and the highest currency exchange rate. In some countries, you can also use Stripe or Square. Setting up an account in these platforms is pretty straightforward. You can all do it online and will be required to submit a proof of identification for security purposes. In the Philippines, a personal PayPal account linked to your bank’s savings account is enough to get started as a freelancer. Later on though, you might need to upgrade into a business account and link it to a business checking account—it has its perks. When I started my virtual assistant business, one of the biggest game changers I learned was having a process. True, this wasn’t critical and you can still wing it and have a profitable business without processes set up, but figuring out project phases and scaling will be very difficult. Thus entered one of my most important business investments to date: Dubsado. Currently, I use Upwork and a leads subscription service. Upwork is free but takes 5-20% off your earnings; the subscription costed me $49/mo for the first five months or so and it has reduced to $25/mo when the owners changed their business model. I nearly subscribed to three of such services but only found one that was truly giving me solid leads. You can also use Facebook groups, LinkedIn or a quick Google search to find potential clients. It’s crucial to do some research about your potential client first, to allow yourself to get to know them and your business. Doing so will also help you find certain connections that you might have with them. This helps your pitch stand out from the crowd. I use Dubsado from this point forward. Here, I enter client details into my system and then get started with my pitch. They say that the money is in the follow-up and it is true. It could be that your clients got busy or perhaps your email got buried in the gazillion others they received. If you want to close a deal, you need to make sure that your email gets attention. As a rule of thumb, I would wait about a week from my last email before I send out a follow-up. I usually send out a total of three or four (first email plus two follow-up emails) before I give up on that lead. Also, the best thing about using Dubsado is that I know if a lead/client has seen my email or not. Discovery calls are crucial if you want to have a successful freelance business. This helps you and your lead get to know each other, see what services they need and what you can offer, and check if you are a great fit. As an introvert and a non-native English speaker, this was something I had to get used to eventually. 6. Sending a proposal + contract + invoice. This part is partially automated. Once the lead gives a go signal and asks for my services and/or rates, I send out a proposal, which I usually customize. Dubsado takes care of this—they can then choose a package (and add-ons) from the list, sign the contract and pay the invoice. Another game-changer when I started running a virtual assistant business was that I was starting to take in upfront payments (of course, this arrangement isn’t possible on Upwork unless you agreed upon it through milestones). 7. Send an onboarding document. Assuming that the client decided to work with me, signed the contract and paid the invoice, I send out an onboarding document that outlined how I work, my work hours, communication details and so on. 8. sending a Questionnaire and scheduling a project call. Depending on the type of project, a questionnaire can be sent out to help you figure out how to best deliver work for your new client. Perhaps you want to know how success looks like, working with them. Maybe you want to know their business a little better and their goals. You can also use this to schedule regular calls and/or emails to check on project status. This really is a rough overview on how the process looks like—we shall discuss this in some other post. But, it’s great to have a process so you can organize things and determine the status for each of your leads and clients (eg. Lead1 is still in the pitching phase, Lead2 has scheduled a call, Client1 has yet to send back answers to her questionnaire and so on). Plus, once you start to scale and hire subcontractors or another virtual assistant to help you, it’s easier to make the transition because you have a flow to follow. We all love starting things out—businesses, blogs—but it’s really tough to get the word out there because we are too shy and intimidated. Maybe we’re not good enough…the impostor syndrome just starts to creep in. Getting the word out about your services is very important because, if no one knows you are actually a writer or admin assistant or web developer for hire, then you will never get hired. One rule to remember though: always give value first. No one wants to be constantly pitched at or sold with their services. You don’t always have to be upfront about wanting to be hired and paid right away. In fact, helping others first and giving them value through your skills and expertise is a much more effective way of pitching your offer than hard selling. Eventually, people will hire you because: you clearly show the skills that they are looking for and they just do not want to go through all the headache figuring out what you already know. Finally…you’ve snagged your first (or maybe nth?) client! Do the victory dance…but not for too long because you need to deliver the work—and an excellent one at that. And the best ways to provide excellent work to your client? OVERDELIVER. And this could be through delivering more than what was required from you, delivering faster than you promised them you would, or delivering in far greater results than they had expected. I placed this in the bottom of the list because I specifically wrote this post for Filipinos who want to start a service-based business. If you are from somewhere else, be sure to consult with a lawyer or another business owner about the legalities. In the US, it is often a common practice to put up an LLC and set up a business checking account right from the start. In the Philippines, the government is pretty lax when it comes to rules for small and medium businesses, especially those who are doing it online. In fact, freelancers can just use a personal PayPal account to send and receive payments (I made sure to ask this one from the local PayPal Facebook group). However, if you want to get things rolling, go on and work on your papers. You can either choose to register as a self-employed individual or a sole proprietor—the choice is totally up to you. My personal choice is the latter and we’ll talk about why and how to go through the process in a future post. Once you make your business legal, it will be much easier for you to get tax returns or get approved for future personal, home or business loans. Being an entrepreneur is a tough life. There are definitely a lot of ups and downs and you will just have to learn to roll with the punches. One thing you should never stop doing once you take this path: LEARNING. There’s always room for improvement. It might be in generating leads, in pitching, in onboarding clients, in delivering work, in choosing the types of services, or in coming up with other sources of income. It’s totally okay to admit that you lack knowledge in certain areas. When you do, start looking into investing in courses that you believe will help improve your business and the level of service that you provide your clients. Having a growth mindset is critical if you want to succeed in your business and in life. Wow. I hope that wasn’t overwhelming. If you’re looking for some help on the next steps to take to explode your virtual assistant business, be sure to sign up below and join the free 5-day course. This starts on Monday, October 1st! See you! Join this FREE 5-day challenge—build your virtual assistant business from scratch and start getting clients! I want to launch my biz NOW! My name is Pam and I am a ghostwriter, tech strategist, VA agency owner and adventure mom. I provide email marketing and sales funnel services to coaches, podcasters, and course creators. My goal is to automate businesses and help it scale and grow to the next level. When not working on my business, I love camping and backpacking with my two kids and partner.